The news today is wild, and not really in a good way. I haven't really processed all the happenings at the Supreme Court and in Texas, and even if I had, I don't have the time or energy to write a thoughtful post on them. So I'm going to talk about shoes instead. I recently had to buy some new sandals. I know- this sounds like a non-event. And it was a non-event until I stopped and thought about the sandals I was replacing. They were a pair of Chacos that I'd bought for our big trip. I took four pairs of shoes on that trip: the Chacos, a pair of black Birkenstock Mary Janes, my hiking boots, and a pair of Reef flip flops. Until the Chacos gave out, I still owned (and wore!) all of these, which is a testament to the quality of expensive shoes when they are expensive for reasons other than fashion, I suppose. The Mary Janes have had to have their strap elastic repaired, but otherwise are in good condition. I don't wear them for "everyday" uses, but I keep them because I have yet to find their match for looking reasonable and being comfortable to wear while walking all day. Yes I know. I said Birkenstocks looked reasonable. But these ones do! They come out anytime I need to wear a skirt and closed toe shoes and be on my feet all day. They almost always go on vacation with me. I did not buy the hiking boots new for the trip, but before the trip I only wore them when I was actually hiking. During the trip, I wore them hiking, and anytime I needed to wear socks. After the trip, they were demoted to hiking-only use again, but they are still in my possession. They are definitely starting to show their age. The flip flops have survived due to benign neglect. I am not one of those San Diegans that wears flip flops everywhere, so they only come out for trips to the beach and occasional use around the house. But the Chacos. Well, those saw heavy wear during the trip. They are surprisingly comfortable, and are my shoe of choice for all day walking- as long as I'm walking somewhere where the sight of my toes won't give anyone the vapors. They not only keep my feet from hurting, they help keep my legs from hurting when I've been walking all days. I was so impressed by their performance on the trip that they continued to get heavy wear when we got home. They survived frequent wearings for almost 8 years. They still look reasonable and feel just as comfortable as they did from the start. But the bottom of the sole started flake off after our recent trip to Disneyland (where they kept my feet and legs happy through two days of tromping around the parks). So it was time to replace them. No prizes for guessing what I chose to replace them with. This post was not sponsored by anything or anyone other than my happy feet! 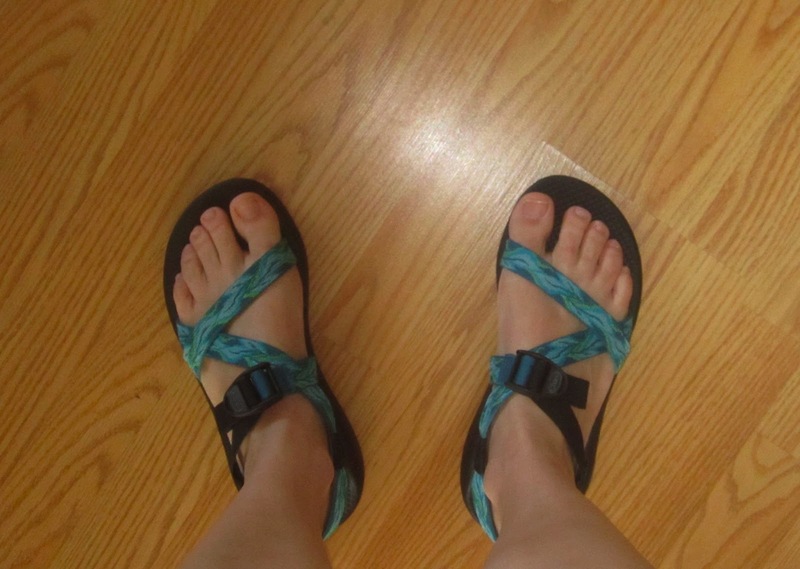 Oh man, chacos! I completely support your choice. I had a pair of chacos for almost a decade - I bought them when I was 15 and about to go to an outdoors school in the North Carolina mountains for a semester, and they accompanied me hiking and walking on the AT in Maine, the rainforest in Ecuador, the Camino de Santiago in Spain, Australia, and many places in between, plus they survived 2 summers of camp counselor-ing. I finally had to get rid of them last winter (it was an honorable discharge) due to the same problem - the bottom part of the sole of one shoe was hanging at nearly a 90-degree angle to the rest of the shoe... I still haven't replaced them, because they're hard to find in the UK, and I haven't made any trips back to the US recently. Next Christmas, though...! I was thinking about getting a pair of Keen's, but your post is making me re-think it and consider getting a pair of Chacco's. 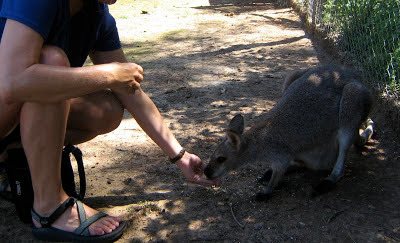 Mostly I wanted something close-toed so I could wear them during light summer hikes instead of walks. I live in a place where we have a lot of bees, and open toed shoes increase the possibility of getting stung on the toe, as happened to my husband twice last summer! I like to have something reasonably cute on my feet, even when walking a lot, but now I've sadly just started wearing my Crocs everywhere, as a default (my kids like it when we match). I'm on vacation at the moment and in a place where we watch no tv and have no wifi (I'm huddled in a cafe at the moment) - I just read a headline about the Supreme Court and it makes me want to go back to bed. I've decided to be in denial all day. I've never tried Keens- maybe they are just as awesome! I think you can find a conversion online. I am a 40 and an 8.5. Instead of buying sandals, I donated money to Planned Parenthood and Wendy Davis. Are you saying you are men's 8.5? Because I am 41-42 and I am women's 11, men's 10. Hmmmm.... Maybe 40 was just for Dansko clogs (I have high arches) and other shoes are 38. I love everything about my Chacco's except for the distinctive tan line which makes it difficult to wear other shoes during the summer. I may just have to get several pairs in different colors so they will coordinate with more of my clothes. Here are my recent purchases from Zappos. Both pairs are very comfortable, I've been mui pleased. This is kind of an off topic comment, but I was always wondering how people can wear sandals so much of the time. My feet would freeze! I can only wear sandals if it's 30C or warmer and if it's cold enough that you can wear long trousers (as you do in some of the photos), I can not possibly wear open shoes as I need socks and proper shoes. Otherwise my feet start to freeze and I get a cold immediately. So I am truly curious, how can you people possibly do that without freezing your feet off? It's easy if you live in the South or West. Currently it's 102 degrees outside where I am and I'm wearing shorts, but plenty of folks are wearing pants today. When it's nice or hot weather all the time you can get used to wearing pants. The pic with the long pants was in Hawaii. I wore long pants to watch the sunset because it would get cool once the sun went down and sandals so I could take them off to walk on the sand! That's usually what's going on when I wear sandals and pants- I'm accepting cold feet for some other benefit. Yeah, it's 30+ most of the spring and summer where I live. Open toed shoes are a must. My Chacos are 8 years old, and really I should've replaced them at the beginning of the season, but at this point I'm hoping to get through till October and sock weather. The tread is no longer aggressive, and so I don't feel great about scrambling around on slippery rocks with them anymore. Still--8 years! and that's with pretty much constant wear through half the year. This pair is black, but I'm thinking the replacement is going to be a little more wild and crazy. Love my Chacos! I actually even love the distinctive tan lines. I've got the ones with the toe strap and once I even wore them on a fairly serious hike (I'd been told it was an easy walk...turned out that person was lying) and while I had to be careful with my ankles, I was totally fine. I've tried Keens, and they're fine, but my feet get really hot and they take forever to dry out completely. Chacos on the other hand you can wear as river shoes and then hiking right out the other side.